There is a neat trick of swapping number using XOR bitwise operator which proves to be ultimate solution. We will explore and understand each of these three solutions in detail here, and if you are hungry for more programming questions and solutions, you can always take a look at Cracking the Coding Interview: 150 Programming Questions and Solutions, one of the best book to prepare for programming job interviews. You can see that its really nice trick and first time it took sometime to think about this approach. I was really happy to even think about this solution because its neat, but happiness was short lived because interviewer said that it will not work in all conditions. He said that integer will overflow if addition is more than maximum value of int primitive as defined by Integer.MAX_VALUE and if subtraction is less than minimum value i.e. Integer.MIN_VALUE. Here addition of two numbers will overflow, Integer.MAX_VALUE + 10 = -2147483639, but we are also doing subtraction, which will compensate this value, because b is now Integer.MAX_VALUE and -2147483639 - 2147483647 will again overflow to give you 10 as output. Second solution to swap two integer numbers in Java without using temp variable is widely recognized as the best solution, as it will also work in language which doesn't handle integer overflow like Java e.g. C and C++. 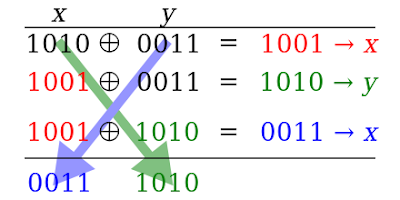 Java provides several bitwise and bitshift operator, one of them is XOR which is denoted by ^. 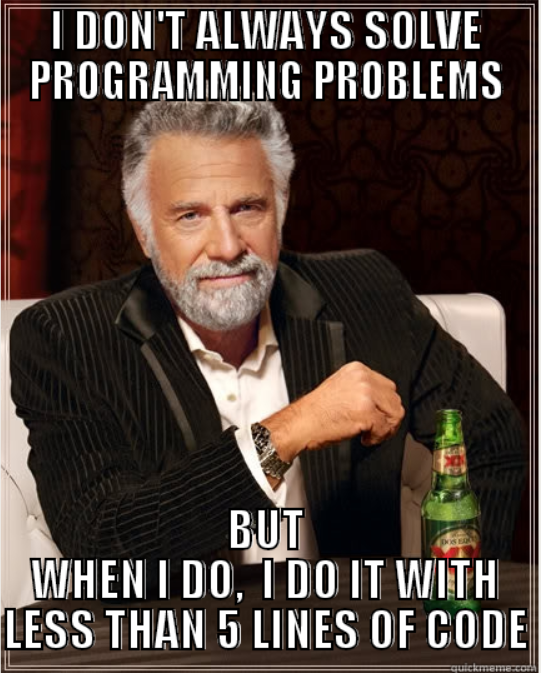 Let's see these examples in action by writing a simple Java program, as shown below. In this Java program, I will show you couple of ways to swap two integers without using any temporary or third variable, and what are problems comes with each approach and which one will work in all conditions. Actually the two popular solution works perfectly fine in Java but candidates, especially those coming from C and C++ background often think that first solution is broken and will fail on integer boundaries, but that's not true. Integer overflows are clearly define in Java e.g. Integer.MAX_VALUE + 1 will result in Integer.MIN_VALUE, which means if you do both addition and subtraction in with same set of numbers, your result will be fine, as seen in above example. That's all about how to swap two integers without using temporary variable in Java. Unlike popular belief that first solution will not work on integer boundaries i.e. around maximum and minimum values, which is also true for languages like C and C++, it work perfectly fine in Java. Why? because overflow is clearly define and addition and subtraction together negate the effect of overflow. There is no doubt about second solution as it is the best solution and not subject to any sign or overflow problem. It is also believed to be fasted way to swap two numbers without using temp variable in Java. XOR swap holds up just fine when x and y are the same number. It fails, however, if x and y are both references to the _same variable_ (such as might happen if passed as reference parameters to a function). // therefore x = y = 0, regardless of input. Hello Keith, it did work well in Java. I am not sure which specific case you are referring, because int primitive are immutable in Java and they are also shared. a = 10 and b = 20.
and breaks when a or b are zero (if b is zero then you get a /0 error; if a is zero then a*b == 0 and you can't get it back, and b gets assigned 0 and you get another /0 in the last line). While this being a fun mathematical puzzle, I really don't get why it would be a good interview question. Such code will be understood by nobody else (i.e. it won't be maintainable) and probably quite a bit slower than using a temporary variable.